It’s the final day of week 25 today, and we’re getting to the final two weeks of the second trimester. Only 3 months away from birth! 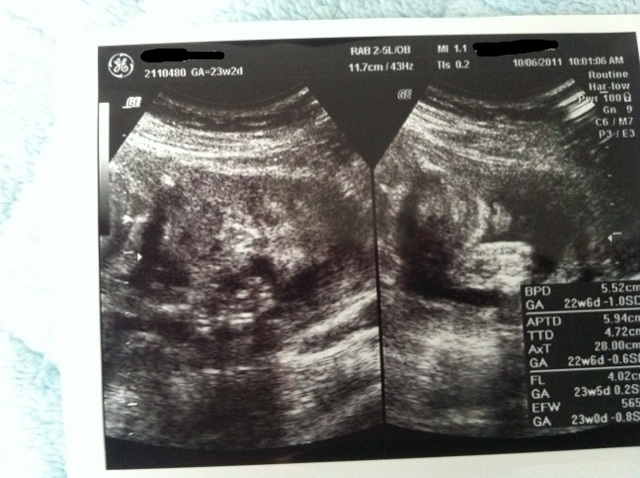 The baby should be around 34cm long now and about 680 grams. She’s growing hair on her head, and her wrinkly skin is starting to smooth out, as she is now gaining body fat. As always, she’s been kicking and punching a lot. Mom is having a hard week. She spent one day extremely dizzy, having a difficult time walking anywhere in the apartment. But that happens when lying on her back for too long. Too much pressure on her veins in her back. She’s also been experiencing some pain due to the growing baby. 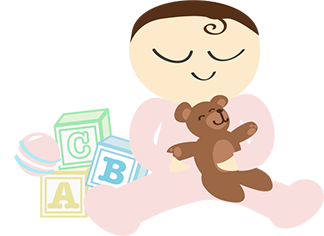 Sleeping at night has been difficult, but this isn’t a problem with the pregnancy. Our dog has been pacing back and forth all night for the past 2 nights, and only sleeping during the day. We’re concerned about his health, as this could be a sign of dementia, or it may be pain (he does have a bad back). Later this week, mom starts her bimonthly checkups. We’re getting into a more critical period where the baby’s development and mom’s health have to be watched carefully. The baby is at a stage at which she can be born and survive at any time, but we certainly don’t want a premature birth. It’ll get harder over the next 3 months. It’s now week 18 and almost half way through the pregnancy. We’ll have a visit to the doctor next week. So, how’s the baby doing? Of course, it’s still growing. The legs and arms are moving around quite a bit now. The ears are in their correct position now, but standing out a bit. The blood vessels are also visible through the skin. How’s the mother doing? Still occasionally feeling sick and sometimes feeling dizzy due to low blood pressure. Her right leg is experiencing pain quite regularly. The baby and uterus is pressing against the vena cava, a large vein in the back, and this is causing a build up of blood in the leg, lower blood pressure and varicose veins in the right leg. She’s trying to sleep on her left side to reduce this. Also, a much more exciting thing is happening. She’s definitely feeling the baby moving! We’re now in week 17 of the pregnancy. This post is a couple days late, though. Anyway, things are really changing now. What’s happening to the baby? Its bones are now changing from cartilage to solid bone. All the joints are moving, too. 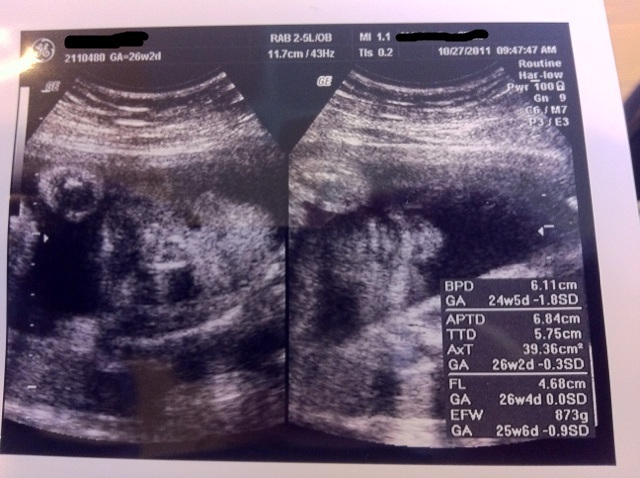 The baby is about 13cm long from head to bottom. 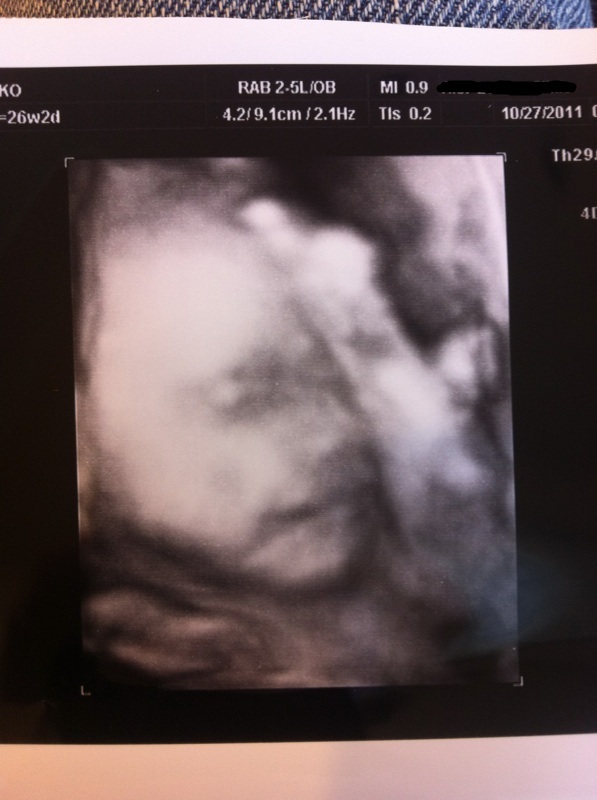 Also, the baby’s hearing is starting to develop now, and reacting to sounds. The brain is also developing the senses. What’s happening with my fiancee this week? She’s been feeling abdominal pains. That’s the round ligament pain because of the growing baby and expanding uterus. Also, the baby is now growing up to around the belly button area, so there’s a baby bump! She’s also feeling a bit dizzy at times and has an irregular sleeping schedule (wide awake at night, sleepy during the day). The morning sickness is mostly gone. 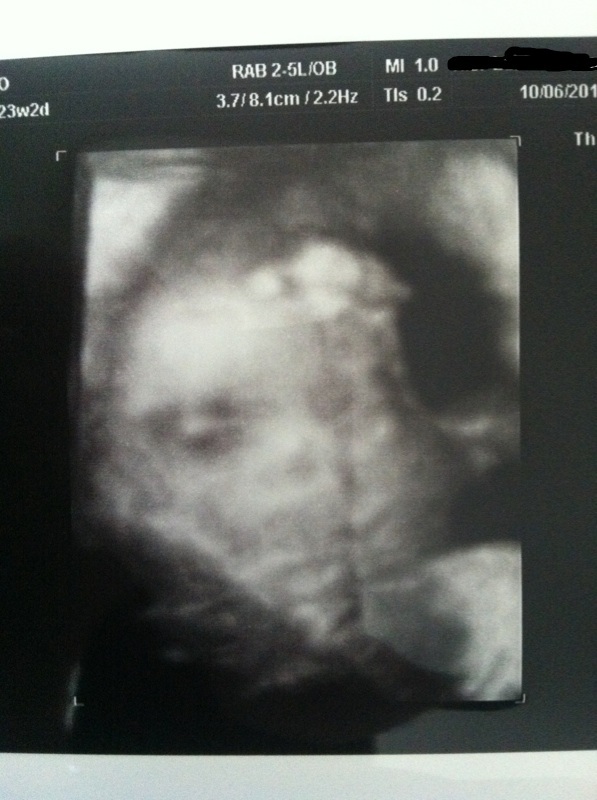 2 more weeks until the next checkup and ultrasound! In Japan, there are many temples that are dedicated to different things. 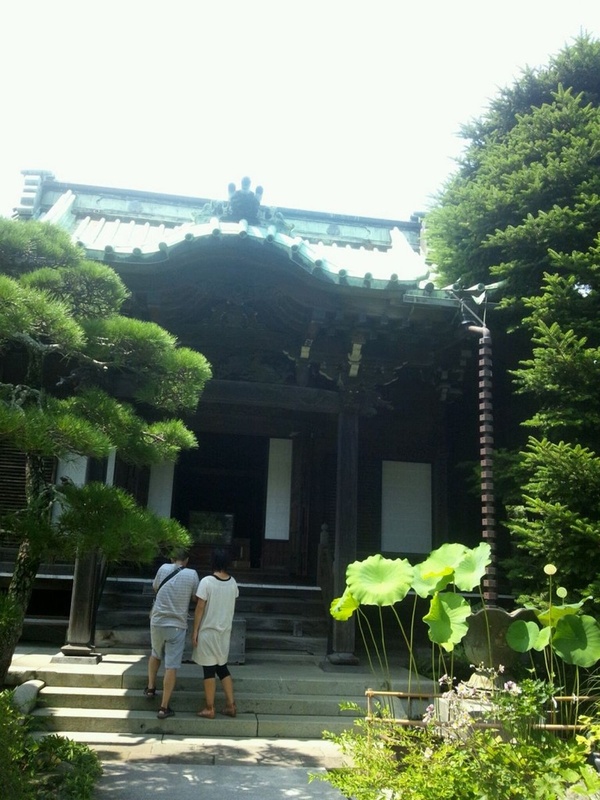 Daigyoji Temple in Kamakura is dedicated to childbirth. Yesterday, my fiancee went there with her mom and sister to get an omamori (charm) for a safe birth. Unfortunately, I was unable to go with them because I had to work, but my fiancee was able to send me a picture of the temple. I’ve read that it’s really difficult to tell when the baby moves at this stage. It’s still quite small, and its movements may not be felt at all, but my fiancee said she felt something. She may have felt the baby move, or maybe she was just hungry. Her body is still adjusting to the growing baby. There’s been some cramping lately as the ligaments around the uterus expand. Morning sickness is mostly gone. Also, she’s been having trouble going to sleep at night. The second trimester is supposed to be easier. I’m wondering when that easier period starts.